I was grateful to be invited to write about the “ethics of AI in design” — a huuuuuge topic — for the forthcoming Oxford Handbook of Ethics of Artificial Intelligence, co-edited by Markus Dubber, Frank Pasquale, and Sunit Das. And just last week I was glad to be able to share a draft of this project at the Institute for Sensing and Embedded Network Systems Engineering at Florida Atlantic University, thanks to a kind invitation from Gerald Sim and Jason Hallstrom. I’ll post my slides below, followed by the unedited manuscript, which the Oxford editors have permitted me to share. Thanks to Kevin Rogan, who aided with all stages of research and writing, and to Ajla Aksamija, David Benjamin, Rune Madsen, and Andrew Witt, who generously responded to our queries about their own practice. For as long as fashion designers, graphic artists, industrial designers, and architects have been practicing their crafts – and even before they were labeled as such – those practices and their products have been shaped by the prevailing tools and technologies of their ages, from paper patterns to computer-aided design. Artificial intelligence is merely the latest agitator, and myriad design professionals have already begun exploring its potential to transform the conceptualization, design, prototyping, production, and distribution of their work, whether menswear or modular homes. Fashion labels are mining social media to forecast trends and building intelligent apps to help consumers compare styles. Architects are amassing data – engineering requirements, CAD geometries, building performance data – to automate phases of their work. Likely to the chagrin of many graphic designers, programmers have created web platforms that allow clients to upload text and images, input a few parameters, and, violà! – a website appears! Still other practitioners, from across the disciplines, have employed AI toward more humanitarian or sustainable ends, like custom-designing prosthetic devices, mapping out less energy-intensive supply chains, or prototyping climate-responsive architectures. While some designers have committed to applying AI toward more ethical ends, they’ve paid comparatively less attention toward the ethical means of its application – precisely those methodological issues that are of concern to organizations like AI Now and FAT (Fairness, Accountability, and Transparency in AI). What, for instance, are the implications of hoovering up architectural and urban data in order to aid in the future design of more efficient buildings and neighborhoods? What are we to make of graphic design tools that normalize particular facial features or allow for the suturing of various images into new composites? And what are the implications for designers’ self-identities as professionals and political subjects when their core creative questions are turned over to the machine? This chapter will examine the ethical ends and means toward which AI-driven design has been, and perhaps could be, applied. In surveying representative design fields – fashion, product, graphic, and architectural design – I’ll examine what ethical opportunities and risks we might face when AI-driven design practice is programmed to serve the needs and desires of laborers, consumers, and clients – and when it’s applied in generating everything from luxury goods to logos to library buildings. We’ll start close to the body, with clothing. Fashion designers, manufacturers, and retailers are using artificial intelligence to track trends, to offer shopping advice, to test garments on different body shapes and sizes, and to allow customers to mix and match items in their wardrobes. With Amazon’s Echo Look, users can document their outfits and, via its Style Check service, draw on the combined expertise of human stylists and AI (trained on social media fashion posts) to choose the most flattering options. Champions argue that these developments facilitate the representation of non-standard body types and allow consumers to fully exploit the garments in their drawers and closets, thus (hypothetically) curbing wasteful consumption. Meanwhile, Amazon’s Lab126 team is using a generative adversarial network, or GAN, to learn about particular styles by scanning lots of examples, so that it can then generate its own rudimentary designs. IBM’s Cognitive Prints, a suite of tools developed for the fashion industry, could likewise enable designers (or even manufacturers who simply bypass human designers) to create textile patterns based on any image data set – snowflakes or rainforests, for instance – or to generate designs based on a set of parameters, whether Mandarin collars or pleats. Such capabilities raise questions about labor displacement, which has long been of concern in fashion manufacturing, where machines have been replacing human workers since the rise of the mechanized loom. Of course labor is, and has long been, a huge issue in popular and scholarly discussions of AI and automation. While automation has indeed extended from the shop floor to the design studio, few fashion ateliers fear obsolescence. Designer Zac Posen doubts that any GAN could capture the “situational, spontaneous moments of beauty,” or exploit the fortuitous accidents and aesthetic irrationalities, that are part of any organic design process. What’s more, AI technologies, some say, could reinforce the unique contributions of human designers by protecting intellectual property. IBM’s Cognitive Prints, which trained on 100,000 print swatches from winning Fashion Week entries, allows designers both to search for inspiration and to “make sure their inspiration is really their own and not inadvertent plagiarism.” Automated tools could also allow for bespoke design and fabrication – 3D-printed garments that are customized to fit models’ or athletes’ bodies, as well as prosthetics and rehabilitative gear. Yet of course most fashion is still mass-produced. Labor and environmental advocates argue that, in these contexts, AI could enable brands to better monitor their supply chains and thus hold themselves accountable for where they source their materials and labor. Then again, well monitored and lubricated supply chains could also simply speed up the already-unsustainably speedy world of fast fashion. Product designers are applying similar techniques – using AI to comb social media to identify trends in sunglasses, toys, and tableware; automating the production of multiple iterations of projects for user-testing; and even exploiting users’ behavioral data to simulate those user tests or quality assurance evaluations. Such applications allow designers and manufacturers to respond to global demands for shorter product cycles and fast-changing consumer needs and desires. In other words, AI helps us generate more stuff, more cheaply and quickly, and more in line with consumers’ perhaps unstated or even unrealized demands. a future where our personal AI assistants, armed with a deep understanding of our influences, heroes, and inspirations, constantly critique our work, suggesting ideas and areas of improvement. A world where problem-solving bots help us see a problem from a variety of perspectives, through different frameworks. Where simulated users test things we’ve designed to see how they will perform in a variety of contexts and suggest improvements, before anything is even built. Where A/B testing bots are constantly looking for ways to suggest minor performance optimizations to our design work. For designers and developers aspiring to build digital products that trade in affect, Chris Butler, Director of AI at Philosophie, a software development studio, offers workshops on “problem framing, ideation, empathy mapping for the machine, confusion mapping, and prototyping.” Even emotion is operationalizable in the design process and optimizable in its products. Those AI-informed digital products then reach the market, where they perform social, cultural, and psychological work. Voice assistants call doctors and hairstylists to make appointments, and chatbots provide therapy and tutoring to clients who can’t afford – or would rather not deal with – human service providers. Yet when Google unveiled its Duplex voice assistant in 2018, some observers were outraged that the technology had little empathy for the product’s human interlocutors: Duplex deceived those on the other end of the line by failing to disclose its artificiality. As Natasha Lomas lamented in TechCruch, Google clearly lacked a “deep and nuanced appreciation of the ethical concerns at play around AI technologies that [can pass] as human – and thereby [play] lots of real people in the process.” Echoing the Institute of Electrical and Electronics Engineers’ general principles for ethically aligned design, Lomas called for digital products that respect human rights and operate transparently, and for developers that hold themselves accountable for the automated decisions their products make. Girling’s utopic wish list implies a whole tangle of potential accountability loopholes; his hypothetical development scenarios rely on an assemblage of simulated subjects, sites, and situations of engagement. It involves fabricated frameworks and imagined futures – each of which presents opportunities for algorithmic bias to set in, for limitations in the training data set to become reified in real-world applications. Luckily, Girling’s firm, Artefact, recognizes that “the effects of our most celebrated products are not always positive. When you ‘move fast and break things,’ well, things get broken – or worse.” So, Artefact offers a set of tarot cards that helps creators “to think about the outcomes technology can create, from unintended consequences to opportunities for positive change.” We should pause to contrast the epistemologies embedded in tarot and machine learning, to consider what it means to apply esoteric practices to atone for the shortcomings of AI’s positivism. In the parallel field of graphic design, one of those “unintended consequences” is the potential obsolescence of the web designer altogether. “We have already seen a templatization of digital products” via “design systems,” or coded standards with defined components, like Google’s Material Design, artist-designer Rune Madsen told me. “So what happens when we start to rely on algorithms to make creative decisions?” Platforms like Logojoy and Tailor Brands automate the production of logos, and Wix ADI (Artificial Design Intelligence) churns out websites. Another platform, The Grid, prompts novice users to input text and imagery and to tell “Molly,” its “AI web designer,” about their goals for reach and impact. Molly will then automatically retouch and crop your photos, search through all your media to choose a complementary color palette, select layouts to fit your mix content, and conduct a few A/B tests to assess your preferences. Molly, we’re told, is “quirky, but will never ghost you, never charge more, never miss a deadline”; in all these respects, she’s more reliable and agreeable than a human designer. But critics have found her design work to be less than inspiring. Because machine-learning algorithms “operate on historic data,” Madsen said, “they always give us more of the same” – or some new hybrid that exists in the “latent space of all existing designs,” a compression of what existed before. Such derivations, he told me, are typically devoid of the affect and aspirations embedded in our most compelling logos and layouts. And they commonly bear the marks of the programs used to create them; you know a Squarespace or Wix site when you see one. For such reasons, most human graphic designers, like their counterparts in fashion, anticipate that, for the foreseeable future at least, machines and people will partner in styling the world’s websites and artbooks. Yet perhaps those entry-levels skills aren’t quite as rote and rudimentary as they seem. Consider the services provided by several intelligent imaging applications: Tools like Artisto or Prisma use image recognition to identify the content in photos and videos, and then apply matching visual-effects filters. Depending on the specific data sets training our AI assistants, we could very well see a lot more walk-on-the-beach scenes draped in gaussian blur – or many faces of color that simply don’t register as faces at all. Adobe’s Sensei AI is behind product features like Adobe Scene Stitch, which allows users to patch and edit images by swapping in features from similar files in its image library; and its Face-Aware Liquify feature, which uses face recognition to “enhance a portrait or add creative character.” We might question the ethical implications of reinventing photographic scenes in this age Deep Fakes. And we might wonder what faces composed the training set from which Adobe’s AI learned to identify a facial norm. Whose noses and lips set the standard? What facial features are deemed to have “character,” and what sorts of sculpting constitute “enhancement”? We might also inquire about the ethics of using AI to transform user subjectivities and user behavior into dynamic user experience (UX), which, while seeming to create more personalized products that thoughtfully anticipate user desires, also coerces longer and more predictable user engagement. As Fabricio Teixeira explains, “Websites are getting smarter and taking multiple user data points into consideration to enable more personalized experiences for visitors: time of day, where users are coming from, type of device they are accessing from, day of the week – and an ever-growing list of datapoints and signals users don’t even know about.” “We could extract behavioral patterns and audience segments,” Yury Vertov proposes, “then optimize the UX for them. It’s already happening in ad targeting, where algorithms can cluster a user using implicit and explicit behavior patterns.” We’re a long way from Web 1.0. Today’s websites are designed to be artificially-intelligent, opportunistic, fine-tuned coercion machines. The application of AI across these disparate design fields raises several categories of recurring questions. First, questions about labor: will AI improve labor conditions by automating rote tasks and make it easier for creative practitioners to protect their intellectual property, or will it facilitate the pirating of others’ creative labor and eliminate jobs? And how might the automation of even “rote” tasks embed particular ideologies and biases – about what constitutes norms and standards, and for whom – and introduce the possibility of manipulation: doctored images that lie, robot voices that deceive? Second, questions about production: will AI allow for the ethical oversight of supply chains, promoting more ethical sourcing and labor; or will it simply speed up the production process, promoting ever more wasteful extraction and manufacturing, and ever more rampant consumption? And third, our survey of these design fields raises recurring questions about users’ agency and protection: do tracked behaviors and simulated testing and “empathy mapping” serve users by better meeting their needs, and even supplying custom products and services for non-normative bodies and tastes; or does such customization constitute exploitation? Are these dichotomous conditions? Or can we find a compromise? It shouldn’t be surprising that so much of our virtual experience is designed and choreographed by virtual agents. AI, after all, is the new colonial power, indiscriminate in its invasion of digital terrains. Yet AI’s influence spills over into the physical domain, too. As we saw in the worlds of fashion and product design, designs take shape in AI-informed digital plans, and are then made material in the form of garments and gadgets. Or even buildings and cities. Artificial intelligence scales up to embed its logics in the material world writ large. Such a translation – from invisible, bit-sized algorithmic operations to massive steel-and-glass structures – represents a radical crossing of scales and materialities and ontologies. And because architecture has traditionally been such a slow, visceral medium, it affords us a unique opportunity to observe and assess the translation from digital to physical, the embodiment of artificially intelligent operations in concrete form. In what follows, we’ll examine how AI informs the operations and ethics of architecture’s multiple stages of development – from planning and project management to design and construction. Gathering information about a design site has traditionally required visiting that site, surveying, photographing, collecting local data, and creating maps. Now, much of that work can be automated by drawing on a vast abundance of available datasets and software – like EcoDesigner STAR and SketchUp plugins – that automate data-processing. Architects Hannah Wood and Rron Bequiri regard such developments as liberating: automated data analysis enables the architect to “simulate the surrounding site without ever having to engage with it physically,” to “do all the necessary building and environmental analysis without ever having to leave our computers.” Designers can take on international commissions that would’ve previously presented logistical challenges. While such disembodied assessments of site might afford new opportunities to smaller, more geographically marginalized firms – and might signal community needs that aren’t empirically observable – we should wonder what spatial knowledges, what localized understandings of place and the people in it, are lost when designers “never have to leave their computers.” Yet perhaps on-site-vs.-remote is a false dichotomy; we might instead ask how vast banks of spatial data and their automated processing could responsibly supplement on-site surveys, interviews, and local ethnographies. Those spatial databases are the products a great deal of human and computational labor – of individual designers, design firms, tech companies, and professional organizations invested in the accumulation, storage, cross-referencing, and sharing of data about sites and buildings. In a 2018 report for the American Institute of Architects, Kathleen O’Donnell interviewed several designers who corroborated her recommendations to “start accumulating as much [data] as possible,” including data used in Building Information Modeling platforms or post-occupancy evaluations – and to develop platforms for sharing data among architects, contractors, and property owners. In order for those data to serve the purposes of automation, however, they must be rendered interoperable, which is quite a challenge when translating place into data involves different methodologies and epistemologies for different professionals. Public health officials, environmental scientists, and real-estate developers all operationalize “site” differently. Raghav Bharadwaj reports that the Architecture, Engineering, and Construction (AEC) industry is “attempting to leverage ML (machine learning)…to identify and mitigate clashes between the different models” employed by architects, various engineers, and plumbers – not to mention the conceptual and data models of other professionals who think about space differently, and whose insights could inform architecture. Can machine-learning reconcile such diverse conceptions of place? And can it mediate the disparate methodological, epistemological, and ethical frameworks embedded in these different datasets. Even the AEC data enthusiasts, O’Donnell reports, recognize that “regulations, security, and ethics all come into play – and [that] there are no major legal standards for data in AEC (Architecture, Engineering, and Construction) yet.” Ajla Aksamija, a building technology specialist who leads Perkins + Will’s Tech Lab, is convinced that a governing body like the American Institute of Architects needs to step in to set standards and institution-wide best practices for the use of data and AI in design. AI can also help to automate the administrative operations – organizing schedules, managing payroll, overseeing documentation, and even, after a period of careful training, evaluating conformance with safety and zoning guidelines. Architectural historian Molly Wright Steenson notes that, “as early as the 1950s, architects at Skidmore Owings and Merrill (SOM) and Ellerbe & Associates used computers for risk calculations and cost estimates.” Today, too, AI can function as an “’enforcer’ of code and best practices,” keeping human laborers aligned with their own self-imposed algorithm. In short, computers handle the boring work, the rote tasks, the complex calculations, leaving creativity to human experts (and most likely eliminating some of those human laborers in the front office). We’ve heard such promises before, too. In 1964, Bauhaus founder Walter Gropius advocated for architects to use computers as “means of superior mechanical control which might provide us with ever-greater freedom for the creative process of design.” Todays’ computers still “aren’t particularly good at heuristics or solving wicked problems,” Phil Bernstein says, “but they are increasingly capable of attacking the ‘tame’ ones, especially those that require the management of complex, interconnected quantitative variables like sustainable performance, construction logistics, and cost estimations.” Andrew Witt, co-founder of “design science” office Certain Measures, suggested to me that AI could even serve as an “ethical broker” between competing stakeholder interests – which raises questions about the methods and ethics of automating ethical mediation. By the 1980s, software originally created for use in automotive, aeronautical, and industrial design made its way into architecture, inciting the rise of parametric design, in which the architect sets parameters that are then algorithmically translated into a range of forms. Today, software-maker Adobe offers Dreamcatcher, a “generative design system that enables designers to craft a definition of their design problem through goals and constraints” – from material types and manufacturing methods, to performance goals and cost restrictions – which are then used to process multiple data sets and generate thousands of alternative design solutions. Designers can iteratively tweak the parameters and assess the performance data for each proposed option. While designer Hannah Wood predicts that future architects are less likely to be “in the business of drawing and more into specifying [problem] requirements,” there are plenty of AI aficionados ready with reassurance that architects needn’t fear that they’ll be reduced to data entry clerks. AI will “streamline design processes without taking creative control”; “the designer will lead the tool,” Adobe’s Patrick Hebron says. Humans must maintain control because AI, Hebron continues, “has limited purview into the nature and proclivities of human experience.” Any fully-AI-generated environment, we’re reminded, would be unlivable. Yet architects do need to better articulate to clients, and the broader public, why that’s true. As Benjamin explained to Dwell magazine, it’s already the case that most building projects aren’t designed by a trained architect; now, “we have to advocate for why we want the built environment not to be self-driving architecture. Cookie-cutter results are convenient, but we have to argue for why they’re insufficient” – or unjust. Benjamin predicted that developers could create automated designs keyed toward the maximization of profit, resulting in an “automated design of a city that’s both uniform and unequal.” Thus, Witt said, it’s important that we consider the “ethical dimensions of how we train designers” to partner with automated systems. We can put someone in VR, and they can be inside the space and we can ask them, ‘Is this exciting or not? Is it inviting? Is it beautiful?… Then we can feed that into a machine-learning system as a supervised learning problem and actually have that software help us predict, from the thousands of designs we’re generating, which ones are doing interesting things with high-level spatial and material qualities that are worthy of further investigation. Perhaps more important than “interesting” and “beautiful” designs are ethical ones – designs aligned with those “human values” that informed Benjamin’s decision-making in Toronto. Values that are of more consequence than optimal desks-per-square-foot. Benjamin has found that, for nearly the last decade, his firm and others have been adding a “bio” framework – bio-processing, bio-sensing, and bio-manufacturing – to computational design, “combining the machine and the natural world” in order facilitate “design with dynamic systems and uncertainty,” to embrace diversity and robustness, to allow for design outside of “master models and complete all-knowingness.” This is one way of infusing computational design with a set of values that’s more oriented toward ethics than efficiency. Architect Christopher Alexander, whose practice had been informed by AI since the 1960s, long believed that computational patterns had a “moral component,” and, according to Steenson, that “moral goodness was something that could be explicitly defined and empirically tested in architecture.” Alexander offered a vision of the future in which “computers play a fundamental role in making the world – and above all the built structure of the world – alive, humane, ecologically profound, and with a deep living structure.” How might we operationalize such ethical parameters? How might we test for humanity and ecological profundity in our buildings, as Alexander proposes? Such values are often aestheticized and, in the case of some bio-computational generative designs, made performative – through gratuitous breathing facades or kinetic oculi. We can also use building automation systems to monitor HVAC, energy, and lighting systems, which are perhaps proxies for “ecological profundity.” And AI could help building occupants better understand how their uses of a building influence its energy consumption, Aksamija suggests. How else might we “pattern” particular ethical codes into our parametrics? We might be able to monitor the presence of these values in the making of architecture, too. In 1974, Marvin Minsky predicted that, by the mid-1990s, the machine could “handle not only the planning but the complete mechanical assembly of things as well.” We’re not quite there yet, but we do have robots piecing together brick facades, dispensing concrete, welding, and handling the dangerous work of demolition. We’re 3D-printing those bricks and other much more geometrically complex building materials, too. Yet there are limits to what these automated technologies can do; for instance, they’re not so great with non-uniform, unpredictable materials like low-grade timber or expanding foam. Still, architectural historian Mario Carpo sees great potential environmental and economic benefits in the future of “micro-designing” and precision-installation, which “can save plenty of building material, energy, labor, and money, and can deliver buildings that are better fit to specs.” Certain Measures developed a process that uses pattern recognition to algorithmically generate new structures from scrap material; Witt described it to me as a means of “radical resource reuse.” And of course the buildings generated through intelligent fabrication processes can themselves be made intelligent, too, through the inclusion of smart technologies, responsive furnishings, and kinetic facades – which, again, can purportedly help to optimize energy use. As with fashion, AI can help to manage architecture’s supply chains, particularly as more and more materials are prefabricated and modularized. AI can optimize project planning and scheduling. Armed with camera and drone images and sensor data harvested from the construction site, automated systems can identify unsafe site conditions and worker behaviors; it can also cross-reference those images with construction models to identify errors and defects. Autodesk’s BIM 360 IQ scans and tags all safety issues on the jobsite and assigns “risk scores” to various subcontractors. The Suffolk contracting firm is using machine learning to scan construction images and identify when workers are wearing hardhats and safety vests, and, eventually, to recognize ladders, clutter, and other safety risks. Meanwhile, Komatsu, the Japanese heavy-machinery manufacturer, is partnering with NVIDIA, maker of graphics processing units, to incorporate its Jetson AI computing platform into construction equipment, allowing for full-surround vision and real-time video analytics, which can be used to optimize the use of on-site tools and equipment, monitor job progress, and flag risks. Of course such exhaustive data collection – as is commonly advocated during the planning phase, too – presents myriad methodological challenges and privacy risks (not to mention its potential to create a culture of paranoia). We see similar risks in smart buildings, with their ubiquitous cameras and sensors and voice interfaces. We might also wonder if remote, automated data collection will minimize the need for planners and construction foremen to monitor conditions on-site. We have buildings planned, designed, and fabricated with the aid of artificial intelligence. They’re infused with AI, in accordance with the recurring design dream of buildings that can think for themselves. And at the end of their functional lives, they could very well be demolished by an artificially-intelligent automaton. Through these phases of architectural design, we encounter many familiar questions about the ethics of automation. Will automation liberate designers from the drudgery of drafting and data-crunching, will it eliminate their jobs, or will it allow for a complementary blending of human and machinic skills? When payroll and scheduling are robotized, what happens to the clerical staff? How might designers create automated design tools that balance efficiency and economy with other “human values,” like ecological stewardship and accessibility, in multiple senses of the term? How might AI-generated models promote sensitivity to environmental impact and the sustainable sourcing of materials; allow designers to attend to the full embodied experience of a building, including its acoustic and thermal conditions; and render the design process more open to diverse stakeholders or user groups? And how might contractors deploy robot fabricators to promote resource and energy conservation, while also improving human laborers’ working conditions – that is, if those laborers are still around? Finally, whose values and interests are built into those algorithms – and which bodies do we find in the studio, on the construction site, or in the fabrication lab or factory, altering and actualizing the algorithms’ output in polymers and plasterboard? This final questions – about which and whose intelligences are embedded in AI – pertains to every sector of design we’ve explored here. To ensure the ethical application of AI in design, we have to make sure we’re both defining responsible parameters and operationalizing those parameters responsibly – and creatively. Where might human designers intervene in an automated workflow? Where might they reassert their agency? Could designers apply their design skills in designing subversive algorithms that generate aberrant aesthetics or embody radical politics? Will we eventually come to regard our Squarespace websites and Dreamcatcher edifices as aesthetically and politically retrograde – a form of AI authoritarianism, machine-learning mannerism, or GAN neo-Gothic? In the calculative composition of our apps and architectures and apparel, we need to carefully consider both the ends and means of automation, to continually audit the algorithms and apparatae through which our material worlds are made. I am grateful to my research assistant Kevin Rogan, who aided with all stages of research and writing. I also owe a great debt of gratitude to Caroline Sinders, who offered valuable advice as I embarked on this project; to Ajla Aksamija, David Benjamin, Rune Madsen, and Andrew Witt, who generously responded to our queries about their own practice – and to Gerald Sim, Jason Hallstrom, and the Institute for Sensing and Embedded Network Systems Engineering at Florida Atlantic University, who kindly invited me to share my research-in-progress . Much has been written about the application of AI in urban design and planning, too. See for instance, the voluminous research on “smart cities.” I have written several pieces on the topic. See, for instance, “A City Is Not a Computer,” Places Journal (February 2017): https://placesjournal.org/article/a-city-is-not-a-computer/; and “Databodies in Codespace,” Places Journal (April 2018): https://placesjournal.org/article/databodies-in-codespace/. See, for instance, Darrell M. West, The Future of Work: Robots, AI, and Automation (Washington, D.C.: Brookings Institution Press, 2018). Quoted in Sissi Cao, “Zac Posen Talks Fashion in the Era of Artificial Intelligence,” Observer (April 13, 2018): http://observer.com/2018/04/zac-posen-fashion-artificial-intelligence/. See also Maghan McDowell, “Will AI Kill Creativity?” Business of Fashion (March 14, 2018): https://www.businessoffashion.com/articles/fashion-tech/will-ai-kill-creativity. Emily Matchar, “Artificial Intelligence Could Help Generate the Next Big Fashion Trends” Smithsonian Magazine (May 3, 2018): https://www.smithsonianmag.com/innovation/artificial-intelligence-could-help-generate-next-big-fashion-trends-180968952/. Anand Adhikari, “Titan Experimenting with Artificial Intelligence Led Product Design,” Business Today (December 15 2017): https://www.businesstoday.in/lifestyle/off-track/titan-experimenting-with-artificial-intelligence-led-product-design/story/266111.html; Rob Metheson, “Design Tool Reveals a Product’s Many Possible Performance Tradeoffs,” MIT News (August 15, 2018): https://news.mit.edu/2018/interactive-design-tool-product-performance-tradeoffs-0815; Sergii Shanin, “How Artificial Intelligence Is Transforming Product Development and Design,” eTeam (December 18, 2017): https://eteam.io/blog/ai-and-product-development-design/. Rob Girling, “AI and the Future of Design: What Will the Designer of 2025 Look Like?” O’Reilly (January 4, 2017): https://www.oreilly.com/ideas/ai-and-the-future-of-design-what-will-the-designer-of-2025-look-like. “Design Thinking for AI,” Artificial Intelligence Conference, New York, April 29 – May 2, 2018: https://conferences.oreilly.com/artificial-intelligence/ai-ny-2018/public/schedule/detail/65105. Natasha Lomas, “Duplex Shows Google Failing at Ethical and Creative AI Design,” TechCrunch (May 10, 2018): https://techcrunch.com/2018/05/10/duplex-shows-google-failing-at-ethical-and-creative-ai-design/. “The IEEE Global Initiative on Ethics of Autonomous and Intelligent Systems,” IEEE Standards Association: https://standards.ieee.org/industry-connections/ec/autonomous-systems.html. See also Alan F.T. Winfield and Marina Jirotka, “Ethical Governance is Essential to Building Trust in Robotics and Artificial Intelligence Systems,” Philosophical Transactions of the Royal Society A: Mathematical, Physical and Engineering Sciences (October 15, 2018): https://doi.org/10.1098/rsta.2018.0085. “The Tarot Cards of Tech,” Artefact: https://www.artefactgroup.com/case-studies/the-tarot-cards-of-tech/. Rune Madsen, personal communication, February 1, 2019. See also Madsen, “The User Experience of Design Systems,” RuneMadsen.com (2017): https://runemadsen.com/talks/uxcampcph/. “About Wix ADI,” Wix: https://support.wix.com/en/article/about-wix-adi; Logojoy: https://logojoy.com/; Tailor Brands: https://www.tailorbrands.com/. See also Yury Vetrov, “Algorithm-Driven Design”: https://algorithms.design/. Rune Madsen, personal communication, February 1, 2019. Chris Constandse, “How AI-Driven Website Builders will Change the Digital Landscape,” UX Collective (October 12, 2018): https://uxdesign.cc/how-ai-driven-website-builders-will-change-the-digital-landscape-a5535c17bbe. Jason Tselentis, “When Websites Design Themselves,” Wired (September 20, 2017): https://www.wired.com/story/when-websites-design-themselves/. Simone Browne, Dark Matters: On the Surveillance of Blackness (Durham, NC: Duke University Press, 2015); The Open Data Science Community, “The Impact of Racial Bias in Facial Recognition Software,” Medium (October 15, 2018): https://medium.com/@ODSC/the-impact-of-racial-bias-in-facial-recognition-software-36f37113604c; Tom Simonite, “How Coders are Fighting Bias in Facial Recognition Software,” Wired (March 29, 2018): https://www.wired.com/story/how-coders-are-fighting-bias-in-facial-recognition-software/. See also the work of Joy Buolamwini and Timnit Gebru, including Joy Bulamwini and Timnit Gebru, “Gender Shades: Intersectional Accuracy Disparities in Commercial Gender Classification,” Proceedings of Machine Learning Research 8:1 (2018): 1-15. “Adjust and Exaggerate Facial Features,” Adobe (n.d.) [accessed January 15, 2019): https://helpx.adobe.com/photoshop/how-to/face-aware-liquify.html; James Vincent, “Adobe’s Prototype AI Tools Let You Instantly Edit Photos and Videos,” The Verge (October 24, 2017): https://www.theverge.com/2017/10/24/16533374/ai-fake-images-videos-edit-adobe-sensei. Fabricio Teixeira, “How AI Has Started to Impact Our Work as Designers,” UX Collective (October 31, 2017): https://uxdesign.cc/how-ai-will-impact-your-routine-as-a-designer-2773a4b1728c. Yury Vetrov, “Algorithm-Driven Design: How Artificial Intelligence Is Changing Design,” Smashing Magazine (January 3, 2017): https://www.smashingmagazine.com/2017/01/algorithm-driven-design-how-artificial-intelligence-changing-design/. Rron Beqiri, “A.I. Architectural Intelligence,” Future Architecture (May 4, 2016): http://futurearchitectureplatform.org/news/28/ai-architecture-intelligence/; Hannah Wood, “The Architecture of Artificial Intelligence,” Archinect (March 8, 2017): https://archinect.com/features/article/149995618/the-architecture-of-artificial-intelligence. Kathleen M. O’Donnell, “Embracing Artificial Intelligence in Architecture,” AIA (March 2, 2018): https://www.aia.org/articles/178511-embracing-artificial-intelligence-in-archit. Design agency CEO Nate Miller proposes that “BIM is often positioned as a production tool, a way to generate a deliverable, but these are actually data-rich resources tied to a firm’s particular knowledge base that can be used to make informed decisions about a portfolio or future design prospects.” One existing platform for industry-wide data collection and sharing is the Building Information Research Knowledgebase. Raghav Bharadwaj, “AI Applications in Construction and Building – Current Use-Cases,” Emerj (November 29, 2018): https://emerj.com/ai-sector-overviews/ai-applications-construction-building/. Kevin Rogan, personal communication with Ajla Aksamija, February 7, 2019 (Rogan is my research assistant). Phil Bernstein, “How Can Architects Adapt to the Coming Age of AI?” Architect’s Newspaper (November 22, 2017): https://archpaper.com/2017/11/architects-adapt-coming-ai/. Molly Wright Steenson, Architectural Intelligence: How Designers and Architects Created the Digital Landscape (Cambridge, MA: MIT Press, 2017): 9. Sébastien Lucas, “Artificial Intelligence (AI) in Architecture. What are the Practical Applications?” futur archi (July 2017): http://www.futurearchi.org/t/artificial-intelligence-ai-in-architecture-what-are-the-practical-applications/364. Shannon Mattern and Kevin Rogan, personal communication with Andrew Witt, February 4, 2018. Witt referenced architect Yona Friedman’s 1967 Flatwriter computer program, which, he says, enabled “sets of people to ethically design an apartment complex,” with each person’s input “creat[ing] a set of trade-offs and choices for other people.” There was a “sociological model encapsulate in the software system,” which creates a “political framework [for] felicitous housing development.” I’m indebted to Bryan Boyer for directing me to Certain Measures’ work. Patrick Hebron, “Rethinking Design Tools in the Age of Machine Learning,” Artists and Machine Intelligence (April 26, 2017): https://medium.com/artists-and-machine-intelligence/rethinking-design-tools-in-the-age-of-machine-learning-369f3f07ab6c. Molly Wright Steenson, Architectural Intelligence: How Designers and Architects Created the Digital Landscape (Cambridge, MA: MIT Press, 2017): 9-10. Mark Sullivan, “This Algorithm Might Design Your Next Office,” WeWork Blog (July 31, 2018): https://www.wework.com/blog/posts/this-algorithm-might-design-your-next-office. Carl Anderson, Carlo Bailey, and Andrew Heumann, and Daniel Davis, “Augmented Space Planning: Using Procedural Generation to Automate Desk Layouts,’ International Journal of Architectural Computing 16:2 (2018): 165. The authors write: “Firms do not often treat their collective work as queryable data, and typical contractual models in the architecture, engineering, and construction industry rarely permit the design team to monitor or evaluate post-construction design performance. This is why we believe this type of research is currently best suited to certain architectural types, such as retail, offices, and healthcare: spaces where the designs are consistent, the success metrics clear, and the layouts somewhat repeatable” (175). See also Certain Measures’ Spatial Insight and Spatial Optioneering projects: https://certainmeasures.com/spatial_insight.html; https://certainmeasures.com/spatial_optioneering.html. Shannon Mattern and Kevin Rogan, personal communication with Andrew Witt, February 4, 2018. Quoted in Sam Lubell, “Will Algorithms Be the New Architects?” Dwell (July 27, 2018): https://www.dwell.com/article/will-algorithms-be-the-new-architects-095c9d41. Hannah Wood, “The Architecture of Artificial Intelligence,” Archinect (March 8, 2017): https://archinect.com/features/article/149995618/the-architecture-of-artificial-intelligence. Italics mine. Patrick Hebron, “Rethinking Design Tools in the Age of Machine Learning,” Artists and Machine Intelligence (April 26, 2017): https://medium.com/artists-and-machine-intelligence/rethinking-design-tools-in-the-age-of-machine-learning-369f3f07ab6c. Quoted in Kathleen M. O’Donnell, “Embracing Artificial Intelligence in Architecture,” AIA (March 2, 2018): https://www.aia.org/articles/178511-embracing-artificial-intelligence-in-archit. Kevin Rogan, personal communication with David Benjamin, December 17, 2018. 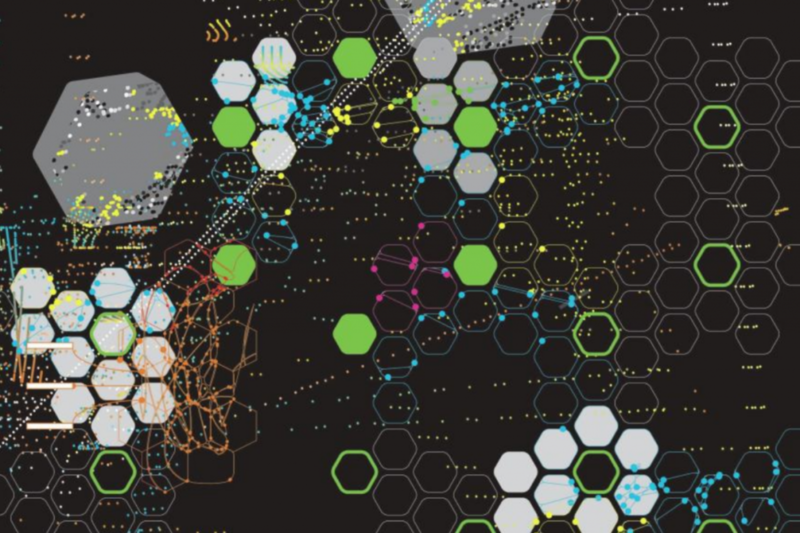 “depthmapx: visual and spatial network analysis software,” The Bartlett School of Architecture: https://www.ucl.ac.uk/bartlett/architecture/research/space-syntax/depthmapx. ClashMEP: https://buildingsp.com/index.php/products/clashmep. See also Certain Measures’ Topological Wiring: https://certainmeasures.com/topological_wiring.html. Kevin Rogan, personal communication with Ajla Aksamija, February 7, 2019. See the MIT Media Lab’s Materiable haptic interface: https://tangible.media.mit.edu/project/materiable/ and Hannah Wood, “The Architecture of Artificial Intelligence,” Archinect (March 8, 2017): https://archinect.com/features/article/149995618/the-architecture-of-artificial-intelligence. Quoted in Wasim Muklashy, “How Machine Learning in Architecture is Liberating the Role of the Designer,” Redshift (May 3, 2018): https://www.autodesk.com/redshift/machine-learning-in-architecture/. Matter Design Studio uses computational methods to explore ancient knowledge and sensory experience. See http://www.matterdesignstudio.com/. I am indebted to @KeysWalletPh0ne for recommending their work. Quoted in Hannah Wood, “The Architecture of Artificial Intelligence,” Archinect (March 8, 2017): https://archinect.com/features/article/149995618/the-architecture-of-artificial-intelligence. Kevin Rogan, personal communication with David Benjamin, December 17, 2018 (Rogan is my research assistant). See also Cristina Cogdell, Toward a Living Architecture? Complexism and Biology in Generative Design (Minneapolis: University of Minnesota Press, 2018). Molly Wright Steenson, Architectural Intelligence: How Designers and Architects Created the Digital Landscape (Cambridge, MA: MIT Press, 2017): 61. Quoted in Molly Wright Steenson, Architectural Intelligence: How Designers and Architects Created the Digital Landscape (Cambridge, MA: MIT Press, 2017): 61.
: https://archinect.com/features/article/150062492/a-5-part-video-series-on-the-architecture-of-artificial-intelligence; Niall Patrick Walsh, “Carlo Ratti Associati’s Proposed Milan Science Campus Features Robotically-Assembled Brick Facades,” ArchDaily (August 7, 2018): https://www.archdaily.com/899777/carlo-ratti-associatis-proposed-milan-science-campus-features-robotically-assembled-brick-facades. Some predict that 3D printing will catalyze a “resurgence of detail and ornamentation.” Hannah Wood, “The Architecture of Artificial Intelligence,” Archinect (March 8, 2017): https://archinect.com/features/article/149995618/the-architecture-of-artificial-intelligence. See also the work of Michael Handmeyer and Benjamin Dillenburger, and Gramazio Fabio and Matthias Kohler. Richard Moss, “Creative AI: Algorithms and Robot Craftsmen Open New Possibilities in Architecture,” New Atlas (February 23, 2015): https://newatlas.com/creative-ai-algorithmic-architecture-robot-craftsmen/36212/. Mario Carpo, “Excessive Resolution: Artificial Intelligence and Machine Learning in Architectural Design,” Architectural Record (June 1, 2018): https://www.architecturalrecord.com/articles/13465-excessive-resolution-artificial-intelligence-and-machine-learning-in-architectural-design. Shannon Mattern and Kevin Rogan, personal communication with Andrew Witt, February 4, 2018; Certain Measures, “Mine the Scrap Installation”: https://certainmeasures.com/mts_installation.html. See the work of AI SpaceFactory: https://www.aispacefactory.com/; Eric Baldwin, “Architecture Startup AI SpaceFactory Reveals Smart Skyscrapers that Integrate Technology and Design,” ArchDaily (October 17, 2018): https://www.archdaily.com/904163/architecture-startup-ai-spacefactory-reveals-smart-skyscrapers-that-integrate-technology-and-design. See, for instance, the ALICE scheduling technology, which allows users to optimize their construction schedules, “big more aggressively ,win more bids, and amaze your customers”: Alice: https://alicetechnologies.com/. Jose Luis Blanco, Steffen Fuchs, Matthew Parsons, and Maria Joao Ribeirinho, “Artificial Intelligence: Construction Technology’s Next Frontier,” McKinsey & Company (April 2018): https://www.mckinsey.com/industries/capital-projects-and-infrastructure/our-insights/artificial-intelligence-construction-technologys-next-frontier; Jenny Clavero, “Artificial Intelligence in Construction: The Future of Construction,” esub: construction software (January 23, 2018): https://esub.com/artificial-intelligence-construction-future-construction/. The SmartVid.io image management platform uses machine learning to review and tag photos and videos of the jobsite, and then suggest safety measures. All this footage is stored and made searchable, rendering it a useful resource in potential lawsuits. SmartVid.io: https://www.smartvid.io/. Autodesk University, “The Rise of AI and Machine Learning in Construction,” Autodesk University (December 21, 2017): https://medium.com/autodesk-university/the-rise-of-ai-and-machine-learning-in-construction-219f95342f5c; Anand Rajagopal, “The Rise of AI and Machine Learning in Construction,” Autodesk University (December 21, 2017): https://medium.com/autodesk-university/the-rise-of-ai-and-machine-learning-in-construction-219f95342f5c. Elizabeth Woyke, “AI Could Help the Construction Industry Work Faster — and Keep Its Workforce Accident-Free,” MIT Technology Review (June 12, 2018): https://www.technologyreview.com/s/611141/ai-could-help-the-construction-industry-work-faster-and-keep-its-workforce-accident-free/. Kevin Krewell and Tirias Research, “NVIDIA and Komatsu Partner on AI-Based Intelligent Equipment for Improved Safety and Efficiency,” Forbes (December 12, 2017): https://www.forbes.com/sites/tiriasresearch/2017/12/12/nvidia-and-komatsu-partner-on-ai-based-intelligent-equipment/#1f0bdc1e665b; Raghav Bharadwaj, “AI Applications in Construction and Building – Current Use-Cases,” Emerj (November 29, 2018): https://emerj.com/ai-sector-overviews/ai-applications-construction-building/. I’m grateful to Kevin Rogan for the conversations that generated much of this concluding section.